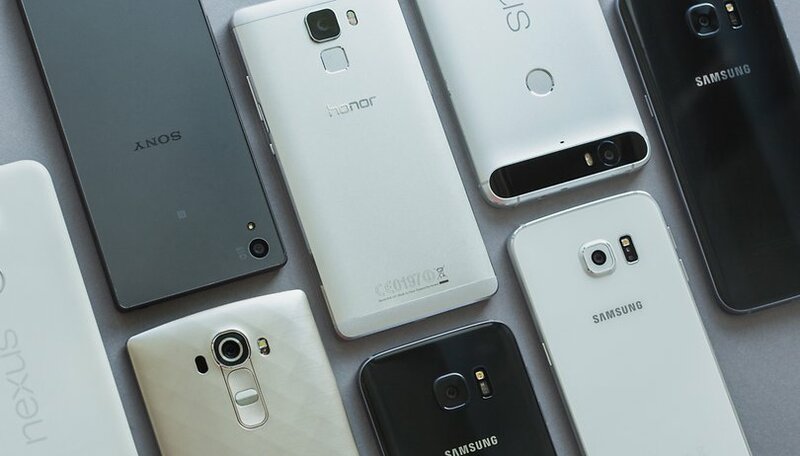 With the open nature of Android, there are a huge number of great devices on sale in different markets around the world but the opportunity to take a leap into the future is being missed by restricting mobile platforms to specific devices. Here's how the future of smartphones could play out. Leaving your house without your smartphone can cause all sorts of immediate separation anxieties. Many people can't even leave the room, let alone the house, without it. Imagine for a moment a future where that wouldn't matter; where forgetting your phone is no problem whatsoever. In fact, imagine a future where the notion of 'your phone' is as antiquated as using a rotary dial telephone is to millennials. Instead of using a single device, phones could (essentially) just be dumb pieces of glass that stream your OS and system information onto whatever screen or surface that you have access to - this could be the TV in front of you, your friend's 'phone' or any other screen capable of loading up your OS and personal setup. But no company is currently building this phone. Nextbit Robin is making the first tentative steps in this direction - offering a host of automated cloud storage that moves your files between your device and the cloud as required to free up space on the handset - but it's only part of the way there. Right now, its main selling point is that it'll hibernate (free up space but not really remove) apps, games and images that you don't access very frequently. Tap the greyed out icon and it'll re-download immediately. It's a start, but it's not a streaming OS and that's what you'd need to fulfil this vision of the future. As well as making all hardware OS agnostic, a 'thin client' approach would also offer up a number of other benefits. Lost your phone? No problem, it makes no difference at all. Having the ability to log in on any device and stream your operating system would also help avoid the most annoying of battery issues - it wouldn't stop you running out, but it would allow you to log in again anywhere and pick up where you left off. There are, however, a number of reasons why we probably still won't see a device like this for a really long time. Firstly, removing the importance of the hardware itself would take a huge chunk out of the way mobile manufacturers make money. Sure, you'd still be able to get 'better' spec phones if you wanted one, but it wouldn't be necessary for functional reasons and you'd never have the same drive to upgrade. Why bother if you can just log in on any device? Even if mobile manufacturers did re-angle their business to a cloud OS approach that placed less emphasis on the hardware, there's still the very real problem of connectivity. For a fully cloud-based OS, you'd need a permanent data connection that never falters, and that's the trickiest part of the problem to address. Sure, if you live in a city or large town there's a good chance you'll already have superfast broadband and 4G. That's not the case for everyone and to be a mass market proposition phones need to work for everyone. Leaving access to your digital life in the hands of a flaky data connection isn't going to be a good user experience for anyone if that means you can't access your phone when you really want or need it. With the continued rollout of 4G networks and the expected launch of 5G services in around 2020, it's a future possibility that isn't entirely theoretical. It is, however, dependent on advances in both telecoms infrastructure as well as changes to the way hardware and software is approached today. It might not be a future that's close, but it's coming. Maybe. Would you want a device-agnostic operating system? Let us know in the comments below! I want a phone which is strong, without the need for a cover around it. No metal or other useless crap on the outside. Make the corners out of rubber or whatever (like the -Active series of the Galaxy S(x) ), so it doesnt break the glass at the first time being dropped. Put at least 32GB inside en 3 or 4 GB memory and for God sakes, please maximum 5" screen. 1080p is enough. Large battery. I dont care for my phone being the thinnest on the market. I want a phone that actually lasts through the day on heavy use. NFC, Quick Charge 3.0, 802ac, all 4G bands in Europe. And no I do not want to pay 800 euros for a device that costs around 80 to produce and will not even be supported anymore within 2 years after having bought it. Even aside the request of being like an -Active series Galaxy S(x) series, there isnt a single phone on the market today that does what I look for. The Pixel is almost entirely what I want, with the "minor" detail of it being sold for a totally retarded price. The Mi5 is the next best option, but Xiaomi keeps on 'forgetting' to put the 800/band 20 for LTE/4G in there. I want the mobile and holographic OS as depicted on Netflix's new show The Expanse. Nor are they making what I want. And I don't need much cloud. Build a simple, sturdy, phone. Give up the glam and needless glass and metal. Dump the skins and bloat. I don't want my data in the cloud. Why? Security and also I don't want to pay my provider to access MY data.